Välillä hullut ideat tuntuvat niin hyviltä että niitä on pakko kokeilla. Niin kävi, joten päätimme että nyt mennään eikä meinata. Ruplan Roosalla on tausta voimistelussa, mutta viimeiset vuodet ovat vierähtäneet joogan ja mindfullnessin parissa. Nyt Roosa kävi kouluttamassa itsensä joogaopettajaksi, joten on ilo jakaa näitä oppeja teille kaikille RUPLAssa. Ensimmäiset tunnit ovat ilmaisia. Varaa paikkasi nopeasti täältä menemällä oikean päivän kohdalle. Kun varaat tunnin, ilmoitathan tarvitko lainamattoa, sillä meiltä löytyy rajattu määrä. Tunnit alkavat 19:30. Lisää on luvassa, jokainen viikko. Olemme innoissamme, nähdään!! <3 Halutaan tarjota kaikille tilaisuus joogaan, joten kaikki tunnit ovat englanniksi. RUPLA ei tosiaan alunperin ole suunniteltu joogastudioksi, joten valitettavasti suihku puuttuu ja pukuhuoneena toimii wc tai takahuone, mutta tilaa joogata löytyy runsaasti. You ever just have a crazy idea that feels too good to not try? Well that recently happened to us so we might as well give it a try: RUPLA YOGA. Yes you heard us. 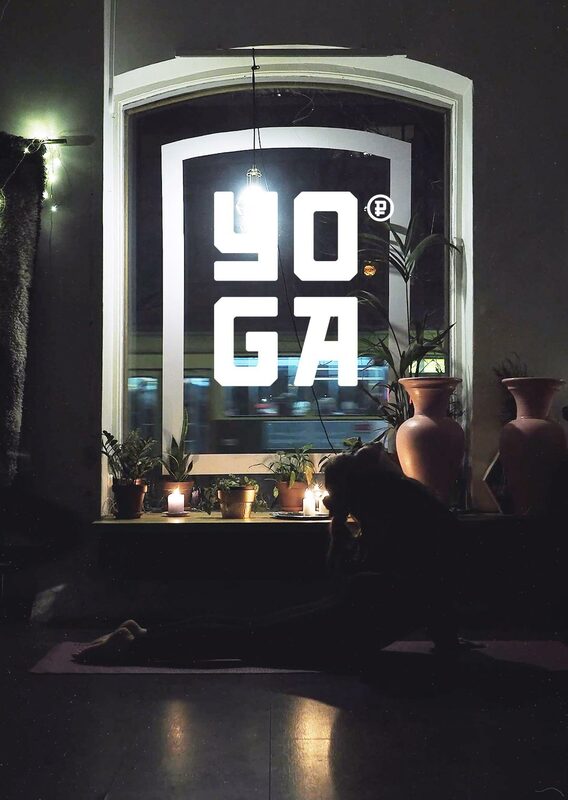 One of our own Rupla members, Roosa is getting certified as a yoga instructor this month so we want to support her and offer an opportunity to have a beautiful space to teach at. She has her background in gymnastics but in last 2 years she has really found a way to honour her body & calm the mind from yoga and she is super excited to start helping other people heal, practise self-love & gratitude and live life fully. RUPLA doesn't have facilities that maybe other yogastudios have but the vibes will be magical, we promise! We are missing a shower and a changing room, but you can change your clothes in our wc or the backroom. ﻿This definitely traditions breaking, booty shaking, no-sense making playful yoga will make you love yourself as Kanye loves Kanye. Accompanied by Kanye West’s songs and the exhibition of him as well by Janne Mikael Rehmonen. It all mixes up together in such symbiosis you didn't know you'll experience. Classes are held in English. Please take your own mat with you if you have one. If you don't write it when reserving; we have some to loan. RUPLA täräyttää kaupungin kreiseimmän joogakokemuksen. Tunnit sopivat kaikentasoisille. Oma matto ja juomapullo mukaan. Varaa paikkasi nopeasti, sillä tämä on limited edition. Classes are held in English. Mystical Yoga is union of Sadhana Yoga and indigenous Shamanic practices revealing the inner mystic. It is derived from different yoga traditions, such as Ashtanga Vinyasa, Sivananda and Iyengar. Focus is on the roots of our yoga tradition, which uses yoga as an instrument to reveal the truth of our existence, the spiritual being. It’s not some woo-woo or a religion but trying to bring spirituality in in a modern way. Our teacher brings in what she loves most about yoga: calming our messy minds with pranayama (breathwork), yoga philosophy and getting to know and to love your body with different asanas. On classes teacher will be providing options to meet all abilities so everyone can modify the existing postures to the level of their own. Mystical Yoga is based upon personal experience and the journey to one’s true self, in this way, the yoga we share becomes a spiritual practice for each student. This class is gentle going with a slower pace, including many yummy minisavasanas but also giving an option for you to challenge yourself with bunch of different inversions. Each asana is held for a longer period of time – from 10 breaths to 2 minutes– so that each pose become a pose of meditation. The focus is on moving with Ujjaji breath and grace, finding your inner strenght. Pretty dynamic and sweaty class which time to time holding those lunges might make you hate your teacher. Closing sequence works through the energetic system of the body, the seven major chakras, working from the top to the bottom. This is the only unique style of yoga that has such a design.